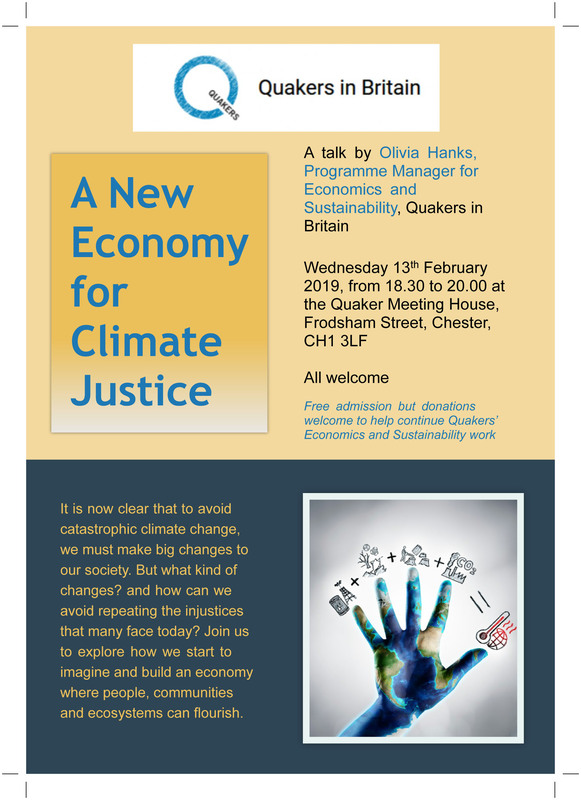 A talk by Olivia Hanks, Programme Manager for Economics and Sustainability, Quakers in Britain. It is now clear that to avoid catastrophic climate change, we must make big changes to our society. But what kind of changes? and how can we avoid repeating the injustices that many face today? Join us to explore how we start to imagine and build an economy where people, communities and ecosystems can flourish. Free admission but donations welcome to help continue Quakers’Economics and Sustainability work.